Kasganj city is the administrative headquarters of Kasganj District, Uttar Pradesh. 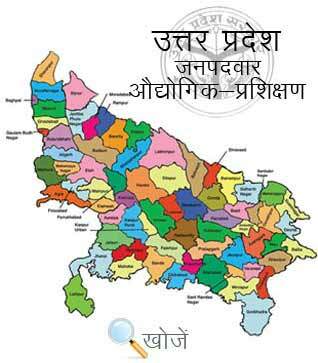 It’s a part of Aligarh Division. The city boasts many colleges, schools, study centers etc. imparting quality education to the students. Apart from this, the city has 1 Govt. and 19 Private ITI’s to provide technical and non-technical education to the students. They offered more than 130 Trade courses to the students. ITI’s or Industrial Training Institutes are post-secondary schools constituted under DGET in India. Vyavasayik Pareeksha Parishad (www.vppup.in) Uttar Pradesh is responsible for conducting the entrance examination for admission in various Industrial Training Institutes in the state. The duration of these courses is 6 months to 2 years. The minimum age requirement is up to 14 years and the basic qualification is matriculation is the basic to join them. There is total of 11,964 Industrial Training Institutes in the India out of which 2284 are government while 9680 are private in all states and Union Territories. Process Cameraman, Tourist Guide, Medical Transcription, Secretarial Practice, Computer Operator, Electrician, Turner, Fitter etc. are few among many courses offered by these ITI’s. Aspirants can also visit online website www.upiti.in as well. It is a comprehensive database of information to the students regarding results, important notifications, online downloading application forms, admission etc. to save their valuable time.